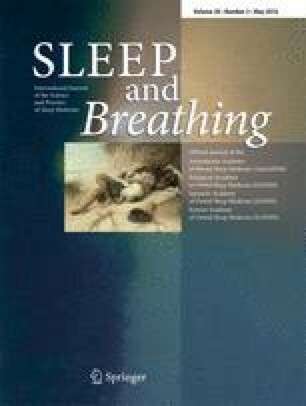 Oral pressure therapy (OPT) has emerged as a novel technique to treat obstructive sleep apnea (OSA) in the past few years. Given this is a relatively new treatment approach, currently, little is known with respect to its clinical utility. The aim of this review was to explore the success rate of OPT when used to treat OSA. PubMed, MEDLINE, Scopus, Web of Science, and the Cochrane Library databases were searched for pertinent studies. The OPT treatment success rates varied widely between 25 and 79 % depending on the residual apnea-hypopnea index (AHI) cut off defined for treatment success. When using standard definitions (at least 50 % reduction from the baseline AHI and the post-OPT treatment residual AHI less than or equal to 10), the success rate of OPT treatment varied between 25 and 37 %. Although there was a significant reduction in AHI with OPT, the baseline AHI was not suppressed in majority of patients to the extent to call these patients as optimally treated. Successful treatment with OPT did not correlate with severity of OSA; however, patients with retro-palatal collapse responded better to treatment. Further research is needed to identify OSA patients who would benefit with this treatment modality. GN is the guarantor of the manuscript and takes full responsibility for the integrity of the presented data and the accuracy of the data analysis. GN is the principal investigator of the study. GN, CP, and MR contributed to the study concept and design, data acquisition and analysis, data interpretation, drafting of the manuscript, and approval of the final manuscript. All authors certify that they have no affiliations with or involvement in any organization or entity with any financial interest (such as honoraria; educational grants; participation in speakers’ bureaus; membership, employment, consultancies, stock ownership, or other equity interest; and expert testimony or patent-licensing arrangements), or non-financial interest (such as personal or professional relationships, affiliations, knowledge, or beliefs) in the subject matter or materials discussed in this manuscript. The views expressed herein are solely of the authors.